Despite adding a host of Windows RT device manufacturers Monday, Microsoft lost one of its early rumored partners Tuesday. Toshiba announced that it's exiting the Windows RT market before the it reportedly launches in November, thought the Japanese company won't be wiping its hands clean of Microsoft completely. 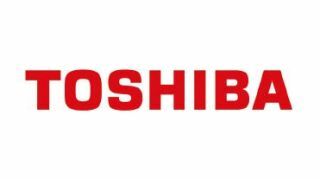 "Toshiba has decided not to introduce Windows RT models due to delayed components that would make a timely launch possible," said Eric Paulsen, a U.S.-based Toshiba spokesman, in a statement. "For the time being, Toshiba will focus on bringing Windows 8 products to the market," Paulsen continued. "We will continue to look into the possibility of Windows RT products in the future while monitoring market conditions." The plan was for Toshiba to make Windows RT products with ARM-based processors built by Texas Instruments and it's unclear whether it was a hold up on TI's end or other components that caused Toshiba to pull out of the RT market.